These are good days indeed for fans of the Alien franchise who want to revisit the mysterious and action-heavy worlds that Ridley Scott and James Cameron so deftly created, all while remaining firmly in the official fictional canon. Not only do we have Tim Lebbon’s just-released novel Alien: Out of the Shadows, which takes place between the first two movies, but we’re also getting the upcoming video game Alien: Isolation, which will be releasing on PS4 and Xbox One later this year. And not only does this game look like it could be one of the better console experiences of 2014, but it may also be the most badass entry to the Alien universe since Ripley’s bald head in Alien 3. The game is being produced by British developer Creative Assembly, and community manager Nee N was awesome enough to share some more of the game’s plot details with KitGuru, ramping up my already salivatory anticipation. The game will follow a grown-up Amanda Ripley, daughter of Sigourney Weaver’s Ellen, 15 years after the events of Scott’s original film. An employee of Weyland-Yutani, Amanda is presented with an incredible mission to visit the abandoned station Sevastopol to unlock the mystery of what happened to her mother, as the original black box flight recorder from the Nostromo has been found intact. 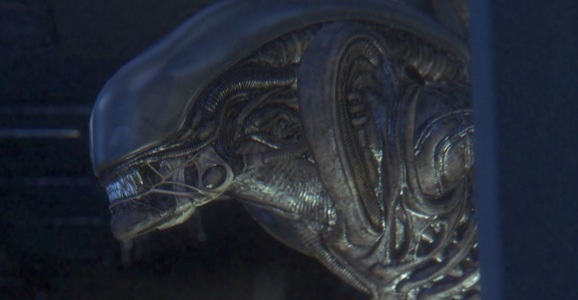 Of course, she doesn’t realize that she’ll be sharing the station’s halls with a Xenomorph enemy of her own. It’s truly an excellent concept, allowing for the past and the present to come together in an entirely unique way; Fox even granted the team some of the film’s original concept designs, unused footage, and production notes to ensure it exudes the timeless feel of quality sci-fi. The game is eschewing the gun-heavy antics of most first-person games and is instead focusing on the survival element. With only one alien enemy in the game, they will have to really ramp up the scare tactics and atmosphere to keep things interesting, which shouldn’t be hard in such a desolate setting. Players will also be required to use their environment in any way that can help them, including finding and combining items into different weapons or otherwise useful devices, so there may be a hint of puzzle-solving throughout the game as well. By far the worst part about this game is its lack of a release date, with only “Q4 2014” as the expected timeframe. For now, turn out the lights and check out the commentary-laden gameplay video below. And don’t worry about that heavy breathing just over your right shoulder.